Matt Damon, Chris Cooper and Brian Cox were all amazing in their roles as very different characters with very contrasting personalities. Especially today, it is hard to look at these actors and not see their countless other recognisable roles. But they play these characters so well, with so much dedication to the role that this is the role you think of when you see them in other films. Franka Potente plays a likeable character who is serviceable to the plot and acts as the love interest but wasn’t overly impressive in her performance. You empathise for the character and do really get behind her for sticking with Jason Bourne considering the mess she has been dragged into, but it wasn’t the strongest performance in the film. She does have a good amount of chemistry with Bourne and compliments his rather blank expression rather well throughout the film. Also what i thought this film did very well was how it handled being an individual film as well as setting up a very successful franchise. It has a fairly closed and contained story, you can walk away from this film having seen a beginning middle and end where all of the main points have been seemingly concluded. And at the same time there are small hints placed throughout the film and minor characters who don’t get a full arc that elude to their presence in the sequel without making this film seem unfinished. Expertly put together if you ask me. 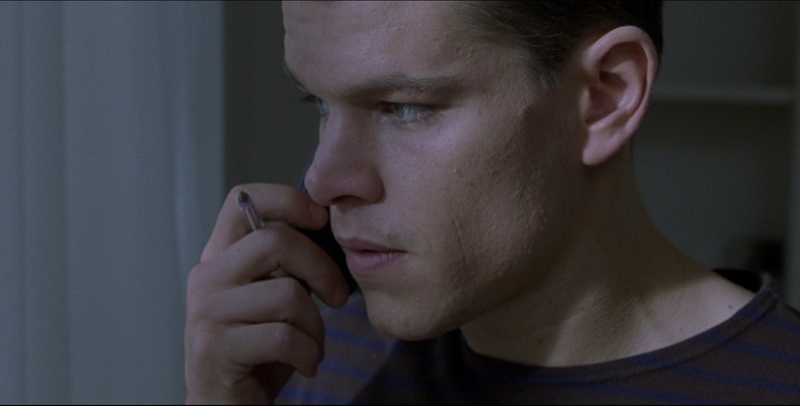 So that’s it for this look back at the birth of Jason Bourne, the man who proves time and time again that James Bond wouldn’t stand a chance in this universe. It is a fantastic all round very entertaining Action Thriller that spawned the greatest action movie trilogy of all time.